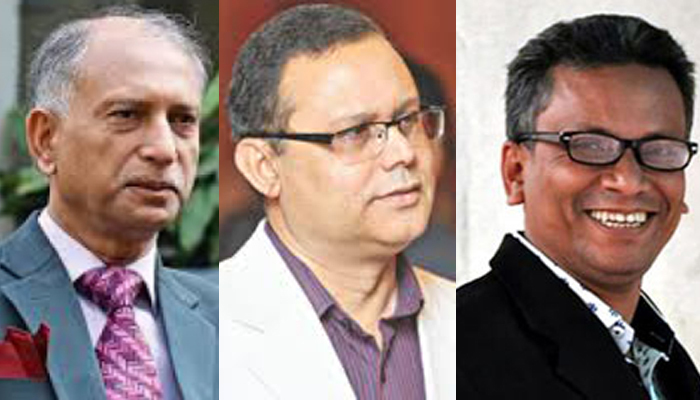 Journalist leaders and academicians have condemned ‘ill-treatment and intimidation’ shown by Jatiya Oikya Front convener Dr Kamal Hossain to several newsmen for their questions. Journalist community has urged Dr Kamal Hossain to apologise publicly for the incident. Dr Kamal, also an eminent jurist, misbehaved with journalists on the Martyred Intellectual Memorial premises in Mirpur on Friday while talking to the media about a query. He along with other alliance leaders went there to pay homage to martyrs on the occasion of Martyred Intellectual Day. Journalists asked Dr Kamal as to why he formed poll nexus with Jamaat, an anti-liberation organisation that committed war crimes and killed intellectuals. Dr Kamal has made the alliance which is dominated by BNP and Jamaat. A number of 22 Jamaat leaders, including war criminals and their children, are contesting the December 30 parliamentary polls under the alliance. An allegation is rife that David Bergman, a British citizen and son-in-law of Dr Kamal Hossain, works as a lobbyist for war criminals and Jamaat. Such a discourteous behaviour of a senior lawyer and politician like Dr Kamal is unbecoming, journalist leaders and academics told the Daily Sun in an instant reaction. Former Bangladesh Federal Union of Journalist (BFUJ) president and vice-chairman of the International Press Institute (IPI) Monjurul Ahsan Bulbul said journalists, who asked questions to Dr Kamal, did not cross professional boundary, but his misbehaviour with newsmen is objectionable. A journalist has a right to make any question to a person who has also right to answer it or avoid it, Bulbul said, adding that Dr Kamal unfortunately and harshly reacted and threatened the journalists. Journalist community should protest against the misbehaviour of Dr Kamal, he added. Condemning such misbehaviour of Dr Kamal, BFUJ secretary general Saban Mahmud said, “Such discourteous demeanor shown by a senior lawyer and politician like Dr Kamal Hossain is unfortunate. The journalist leader raised a question that how much Dr Kamal was paid for forging an alliance with anti-liberation organisation Jamaat.